World Vision has a Lent Study ~ A Call to Live ~ that they are encouraging individuals and groups to participate in during the season of Lent. This study can be used for self-study, a small group study or as a family study. During the 6 weeks, you will enjoy a time of reflection, prayer as well as celebrate the ministry and life of Christ. You can download the entire guide or each weekly study separately ~ check it out! continue reading "A Call to Live"
Psalms 34:19 - Many are the afflictions of the righteous: but the LORD delivered him out of them all. I was sitting at my computer meditating this morning, and I heard the words of the Lord when He spoke into my spirit and said "Tell my people to HOLD ON." So I'm taking this opportunity to speak these words into your spirit today. I may not know you by name, but rest assured that God knows your name and YOU are on His mind. Some of you are feeling overwhelmed, frustrated, tired and weak. Some have lost their joy, peace, motivations and dreams. Some of you don't see any way out of your dilemma and you're crying “Lord how long". Or maybe you're ready to throw in the towel and give it all up. All of the hell that you are going through, is a clear indication that God is about to BLESS you. Those attack that you are under right now, those attack are demonic forces from your future. Yes that's right; Satan knows that your future is bright. So he's trying all he knows how to discourage you and stop you from getting there. Some of the things you are experiencing right now are the final stages before breakthrough and spiritual promotion. You can always tell how blessed you’re going to be tomorrow by the hell you go through today. SO IN THE NAME OF JESUS, I COMMAND YOUR SPIRIT TO HOLD ON. Hold on to your faith, Hold on to your joy, hold on to your peace, hold on to your dreams, hold on your marriage, hold on to your family, and hold on to what God promises you! No matter what you are dealing with right now, remember that God is Faithful. Trust Him and HOLD ON. Listen Up, a weekly 1/2 hour program that examines news and current events for the spiritual meaning that such events bring to our lives. Journalist Lorna Dueck hosts studio interviews and field reports on how faith impacts the world. Maranatha News is a Evangelical Christian Newspaper that is distributed monthly. To receive more information on the digital version of the newspaper, go here. Provides the latest in Christian news nationwide and worldwide from a wide range of areas including Church, Ministries, Missions, Education, Entertainment, Health, and more. WORLD tries to be salt, not sugar. We like to report good news but we don't make it sticky-sweet. We also report bad news because Christ's grace becomes most meaningful when we're aware of sin. We want to be tough-minded but warmhearted. Learn more about WORLD. Beautiful One Magazine is directed to and focuses on women. Women are influential, they are strong, and they are able. They are the heartbeat of families, and they are a strong part of our world culture and Christian faith. Women are vital to the continuance and quality of human life as we know it. They are caregivers and the authors of deep love. These are just some of the reasons we work to preserve the greatness and delicacy of women today. This modern culture of women has undergone a severe makeover of the wrong kind. Women have lost themselves to media, fashion, entertainment, anger, disappointment, sexual abuse, verbal and physical abuse, divorce and depression. In having to combat these elements, we have in many cases lost our focus and direction with who we were meant to be, made to be and called to be. We exist to reverse the curse.. to uplift, motivate, encourage and bring women to places they've never before known in their own hearts and minds. To open their thinking to see their own potential. Women. God's handiwork. continue reading "Beautiful One Magazine"
This message was shared at Wings of Grace, but comes from Apostle Chiffon Foster of Kingdom Glory Ministries. "Besides this you know what [a critical] hour this is, how it is high time now for you to wake up out of your sleep (rouse to reality). For salvation (final deliverance) is nearer to us now than when we first believed (adhered to, trusted in, and relied on Christ, the Messiah). The night is far gone and the day is almost here. Let us then drop (fling away) the works and deeds of darkness and put on the [full] armor of light" (Romans 13:11,12). "Therefore He says, Awake, O sleeper, and arise from the dead, and Christ shall shine (make day dawn) upon you and give you light. Look carefully then how you walk! Live purposefully and worthily and accurately, not as the unwise and witless, but as wise (sensible, intelligent people)" (Eph. 5:14, 15). "AWAKE, AWAKE, put on your strength, O Zion; put on your beautiful garments, O Jerusalem, the holy city; for henceforth there shall no more come into you the uncircumcised and the unclean.Shake yourself from the dust; arise, sit [erect in a dignified place], O Jerusalem; loose yourself from the bonds of your neck, O captive Daughter of Zion" (Isaiah 52: 1,2). "For you are all sons of light and sons of the day; we do not belong either to the night or to darkness. Accordingly then, let us not sleep, as the rest do, but let us keep wide awake (alert, watchful, cautious, and on our guard) and let us be sober (calm, collected, and circumspect). For those who sleep, sleep at night, and those who are drunk, get drunk at night. But we belong to the day; therefore, let us be sober and put on the breastplate (corslet) of faith and love and for a helmet the hope of salvation" ( I Thes. 5: 5-8). Are we in danger as the Bride of Christ of being lulled and seduced into a deep sleep once again? Have we as leaders become drunken and intoxicated off of prestige, fame, fortune and believing our own press? Are there those in the pew who have drifted off to sleep because of a false sense of security? God told the prophet Isaiah to cry aloud and spare not! Those that have an ear to hear have heard the sense of urgency in the Spirit to not allow the things of this world to systematically cause a sleep and slumber to overtake them. I urgently admonish apostolic gatekeepers to return to your post and defend the gates! He who control the gates controls the flow of traffic (spirits coming in and out of a church, city and region). Watchmen, get back in the tower and communicate to the shepherds on the fields what you see. Intercessors stay on your face in the secret place until you break through the hostile territory in the Spirit. Awake God's holy apostles and prophets and take your place in this hour to bring forth God's agenda, heart and order to the House of God. Do not be afraid of being apart of the remnant of those that have been assigned to this hour. Zion, shake yourself free from every dumb and deaf spirit and arise from your rest and STORM THE GATES! continue reading "It's Time to Wake Up!" to the online Bible study community. and the tuition will be changed. So, as you can see, there is no time to waste. The $1 trial is still available. to help you to draw nearer to Him than ever before. to all those who would be interested! continue reading "If I Could JUST Touch..."
continue reading "THIS TOO SHALL PASS"
E-Word Today is a FREE online tool that helps you to read the Bible online. E-Word Today is a convenient & consistent way to read God's Word. Every morning, you will receive a plain text message with you Bible Reading for the day. You can read the Scripture in your email, or you can click a link to read the passage from your favorite Bible translation. 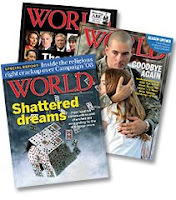 Subscribe today - E-Word Today only takes a few minutes to read, but it will impact your life forever. Mentors of Ministry is a voice of encouragement; existing to mentor, motivate and mobilize Christian women worldwide to fulfill God’s call. continue reading "Mentors of Ministry"
Saturdays used to be known as "bath day", many years ago. It's hard to believe that today, as most people shower every morning. In the same fashion, we need God to cleanse us every so often too. He washes us with the water of His Word. Not only do we get 'dirty' just by living but, we are full of 'holes', the scriptures tell us. And these 'holes', leak his fillings. So,not only does everyone need a Savior to save them and take them to heaven but, they need this Savior also to cleanse them of the filth of daily living and to empower them to live as a believer. Without Him, washing,cleansing and filling us,we begin to stink to this lost and dying world and we will offer nothing to quench their spiritual thirst. It is possible to stink and not be a 'sweet smelling savor'. Have you "FRESHENED UP" lately? continue reading "Empty Me of Me"
Christian Publishing Tips is having a fan-tabulous contest in honor of their launch! Love to read ~ you can win prizes valued at over $60 ~ you can even receive multiple entries! Drawing will be made February1/09. Christian Publishing Tips is made up of writers and publishers who are passionate about Jesus. Their mission is to share about Jesus through the "written word." Christian Publishing Tips will provide industry information, tips from experts, as well as inspirational stories that will help writers accomplish their dreams using the talents that God gave them. 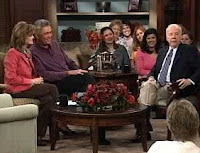 One of my favorite programs on television is Life Today with James Robison. Life Today offers a weekly segment called Wednesdays With Beth. 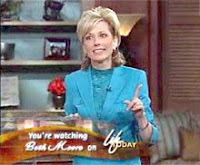 Beth Moore is an incredible Bible teacher; she is a very transparent woman who has a deep desire to be obedient to God. Life Today has made these weekly broadcasts available to listen to at any time, through quicktime, flash, mp3 and transcript. Be sure to take advantage of these teachings; they will change your life! LifeToday's hosts are James and Betty Robison. They interview inspirational guests daily. The discussions are about "real problems that ordinary people face in everyday life ~ offering biblically-based solutions that will transform lives, heal marriages, restore families, and draw people to eternal life through faith in Jesus Christ." GOD HAS A MESSAGE WAITING ~ JUST FOR YOU! continue reading "Real Problems; Biblically Based Solutions"
continue reading "Are You Saved?" This is a video of Susan's testimony of growing up as a "Christian", UNTIL she beheld the true Christ, the Son of God. Are you making TIME to get to KNOW Him? Are the SCRIPTURES becoming ALIVE in your life? Are you BECOMING more like Jesus? continue reading "Tearing Down Idols - Jesus is ALL I Need!" Closer so He can wash away your shame. Closer so He can restore you to wholeness and ease your inner pains. That's what a true relationship with God does. It's not about rules and regulations, but total life transformation. And that's what God has in store for those who truly seek Him - An abiding relationship with Him that changes you from the inside out. A deep connection that overflows into every area of your life. A relationship that causes you to live victoriously above life's obstacles... instead of just struggling "under" your circumstances day after day. But, you don't have to work to build that relationship all on your own. 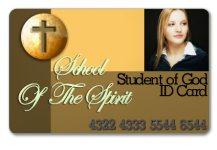 The New School of the Spirit is a Christian online community that is available to help you! Be sure to check it out! continue reading "Be Still Sunday"
Rev. Timothy G. Satryan, Senior Pastor of WILMINGTON first assembly of God (WFA), has extended an invitation for you to participate in a dynamic new preaching series entitled Victory is Mine in 2009! All Rev. Satryan's messages are posted on the website. You are welcome to listen to them directly online or download them and listen to them later. You are also encouraged to subscribe to his sermons on iTunes (search Wilmington First Assembly of God). VICTORY IS MINE in 2009! Make 2009 a year of VICTORY for you! continue reading "VICTORY is Mine...in 2009!" 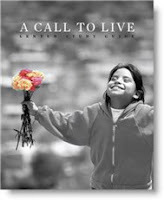 Christian Audio is starting the New Year off with an excellent free audiobook for the month of January, 2009. 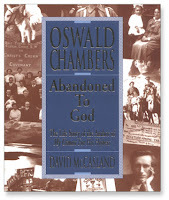 With special thanks to Discovery House Publishers (publishing arm of RBC Ministries), Christian Audio is pleased to be able to provide their customers with the definitive autobiography of Oswald Chambers, Abandoned to God. Oswald is the author of the best selling devotional, My Utmost for His Highest. Use the coupon code JAN2009 to redeem this months free audiobook download. Please sign up for the free christianaudio newsletter. continue reading "Abandoned to God"